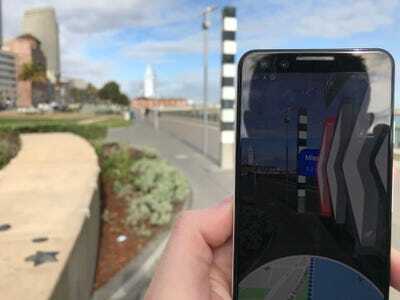 On Monday, the Google Maps team gave Business Insider the chance to try out its new AR feature for pedestrian maps, which the company first teased at its developer conference last May. 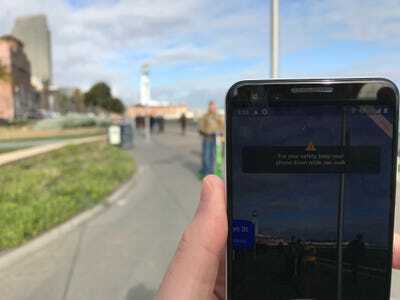 The team says the feature is in an “alpha” state and for now, will only be available to “local guides” — Google Maps enthusiasts who provide useful product feedback. And it’s a good thing that I did. 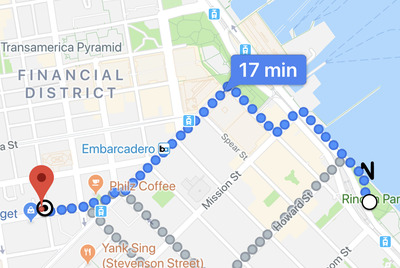 My path was filled with electric scooter riders — an AR accident waiting to happen!